The Denver Nuggets are off to a blazing start, but in a loaded Western Conference the Nuggets will have to fight off a cast of characters that include a 6’10 superstar with a unibrow, a disgruntled stud from Minnesota, Ricky Rubio’s man-bun, and some guy named Lebron in order to make our first playoff appearance since 2012-13. A prediction of the 2018-2019 playoff seedings. shooting more threes, and playing small under center. Umm, didn’t the Warriors invent that style of play? 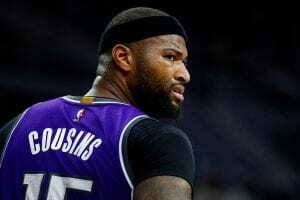 Golden State has won 3 out of the last 4 titles, added Boogie Cousins to their lineup, and Klay Thompson should play even better knowing he’s an unrestricted free agent after the season. Make that 4 out of 5. Houston Rockets – Yes, they are off to a slow start and the loss of Trevor Ariza and Ryan Anderson has hurt their team chemistry, but the Rockets won 65 games last year! James Harden, Chris Paul, and Clint Capela will be fine once the Rockets figure out their rotation. And figure out how to get disgruntled small forward Jimmy Butler to Houston. 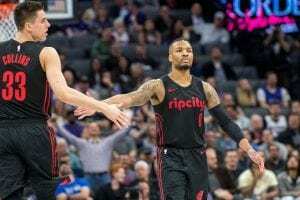 Portland Trail Blazers – Did anyone notice that the Blazers (49-33) finished third last season? Damian Lillard is a star, while CJ McCollum and Jusuf Nurkic are quality starters. Al-Farouq Aminu, Evan Turner, and a bunch of other guys give Portland tremendous depth, but it’s the emergence of 7-footer Zach Collins that will make this team difficult out in the playoffs. Oklahoma City Thunder– The combination of Russell Westbrook and Paul George should be able to win 48 games with two beer vendors and a hot dog guy playing with them, but not much more. Steven Adams can rebound and Dennis Shroder can really score, but this is the NBA, not Fantasy. this season. Injuries always play a large part of an NBA season, and Denver is one of few that can stay solid if a key player goes down. Utah Jazz – The Jazz won 48 games last year and should win 50 this season. 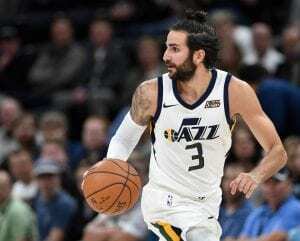 Rudy Gobert is the defending Defensive Player of the Year, Joe Ingles has established himself as a top-tier three- point shooter, and Utah adds excellent depth at all positions with Ricky Rubio, Derrick Favors, Jae Crowder, and others in a quality system. Oh yeah, did I mention Donovan Mitchell is in his second year. Ginobli, and Tony Parker from the roster. But it’s Greg Popovich, and the last time San Antonio missed the playoffs was 1996-97. 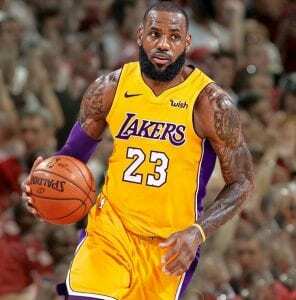 Los Angeles Lakers – The only thing more difficult than keeping Greg Popovich off a list like this, is predicting that Lebron James won’t be there either. I’m not a conspiracy theorist, but I know that ESPN, ABC, Adam Silver, the NBA, Laker Nation, and the ratings will be hoping he makes it as well. Besides, when is the last time Lebron didn’t make the playoffs? Apologies to New Orleans and Minnesota. The Pelicans and Timberwolves have plenty of talent and should be right in the mix. But New Orleans is always just an injury away from being out of it, and Minnesota is a mess with Jimmy Butler already packing his bags. The season will be a nail-biter, but It’ll be fun.